Magical St. Michael's Mount, Late October, Cornwall. Late October Walk, St. Michael's Mount, Cornwall. 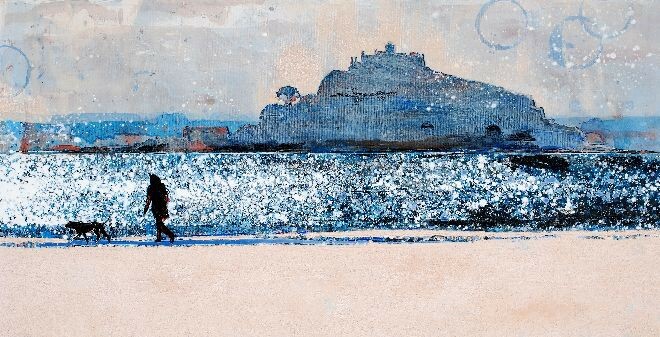 First Day of Spring, St Michael's Mount, Cornwall. Early Winter Rider, St Michael's Mount, Cornwall. Late October Light, Mount's Bay, Cornwall. Bright Light, Cool Breeze, The Mount, Cornwall. Afternoon Light in October, below the Mount, Cornwall. Small Family in Shadow by St. Michael's Mount, Cornwall. Night Closing In, Mount's Bay, Cornwall.